Forgotten about this. Italian automobile enthusiasts from around the world descended on the Black Horse Golf Course in Monterey, California recently for the 30th anniversary of Concorso Italiano, the annual must-attend event for classic gear-heads, centered around as many as 1,000 collectible Italian automobiles. It’s also the convergence of sophistication, taste and affluence embracing all the cultural elements of Italian style, including music, cuisine, fashion, and travel. 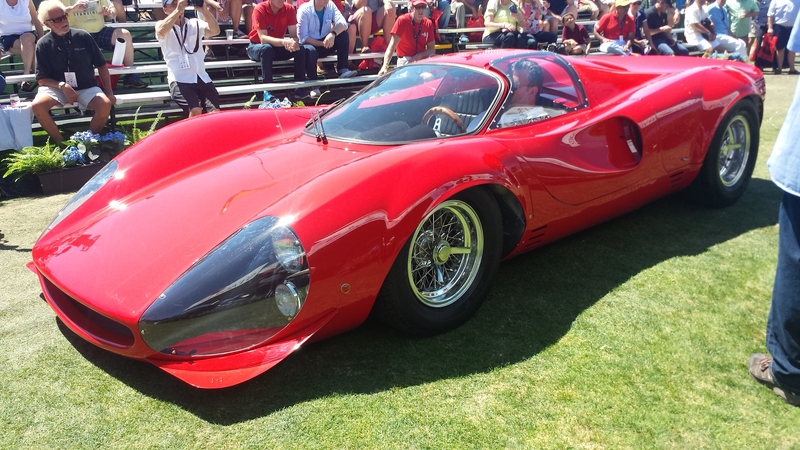 The Concorso emphasises display and appreciation over competition, and although the cars are truly magnificent, this event is as much about the people who attend as it is about the finely engineered cars. The passionate and discerning enthusiasts attending this event represent a highly desirable demographic group from around the world. Eighty per cent are entrepreneurs or professionals and 70 per cent are in the highest income bracket. Concorso Italiano is also a major contributor to several local, national and international charities. Print, web, film and television media from around the world constitute the more than 400 media passes requested each year.